As you can probably tell, Caroline and I are coffee fanatics. I get it from my dad, and probably had something to do with Care being obsessed with it. 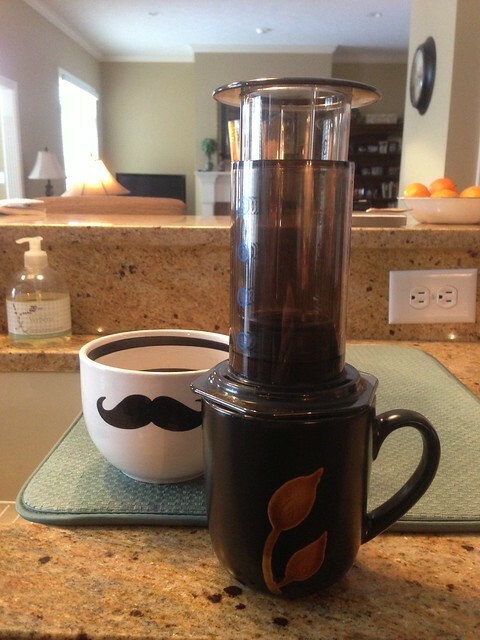 While at home, I use the amazing Aeropress to brew delicious coffee. I’m not too particular about the beans, as long as it’s freshly ground, strong, and prepared well. I didn’t take my Aeropress with me on the trip (something I will definitely do in the future), and ended up trying coffee around the world in all different ways. Coffee from Pacific Coffee company in Hong Kong on the first morning of our RTW trip! Obviously we weren’t too adventurous with our coffee at this point, but it was a good café americano! Kopi at Ya Kun Kaya Toast in Singapore. 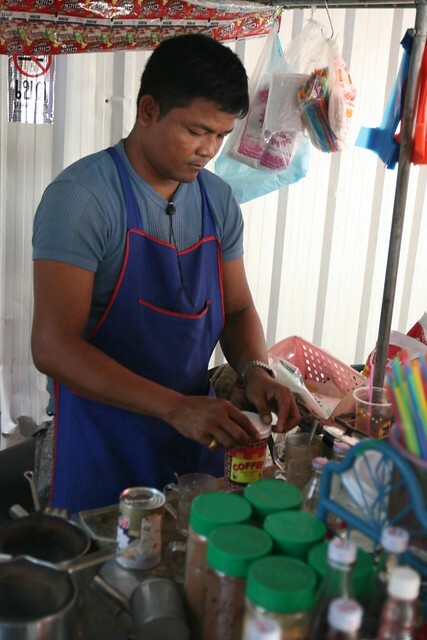 This Malaysian coffee is made in a sock (just go check it out). Stick around and watch how they make it and then enjoy the strong coffee black or with evaporated or condensed milk if you have a sweet tooth. You can also get kaya toast, which is toast with a sweet coconut jam on it. We also loved the kopi and kaya toast at ToastBox! 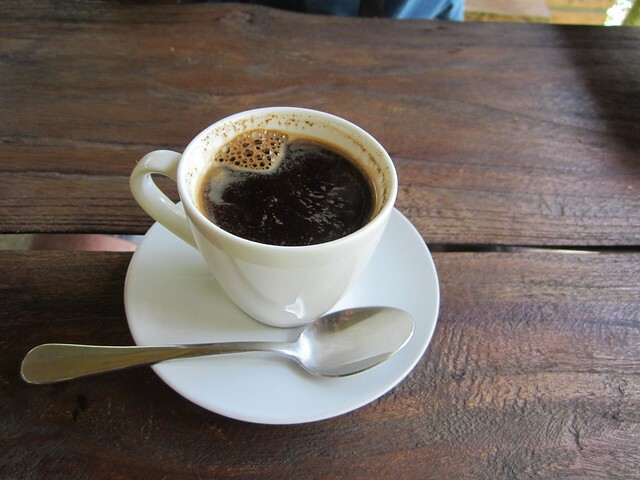 In Bali, we tried Kopi Luwak (otherwise known as cat poop coffee) at Bali Pulina plantation. It doesn’t taste like cat poop, instead it’s very smooth and much less acidic than other coffees. If you are in Bali definitely don’t miss out! In Bangkok we enjoyed our morning Thai Coffee, famous for who knows how many types of sugar. It appeared to be made using sugar, simple syrup, and condensed milk. Obviously, it tasted delicious but wasn’t true “coffee” as I normally like it. I got my order down with the nice guy out front of Lub d Siam Square. 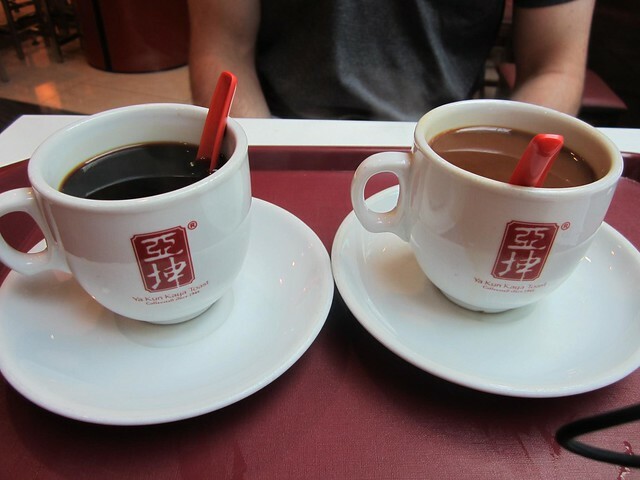 The first time I ordered one black coffee (with a couple confirmations that I really wanted it black) and one Thai coffee. Anytime after when I tried to deviate from that order, I’d just get exactly that. A cappuccino from Elliebum café and guesthouse in Chiang Mai. Really delicious coffee, and maybe even tastier smoothies! When in Chiang Mai we definitely suggest you stop by! Some Vietnamese coffee in Hoi An, Vietnam. The coffee here was really strong and good, much different from the surrounding countries. It’s made using the pour-over contraption you see on top of the mug. Usually it’s served with it still on top and you wait for the rest of the coffee to brew before drinking. Patience! On our African safari, it was Nescafé with chicory as that’s all we could find in the supermarket. 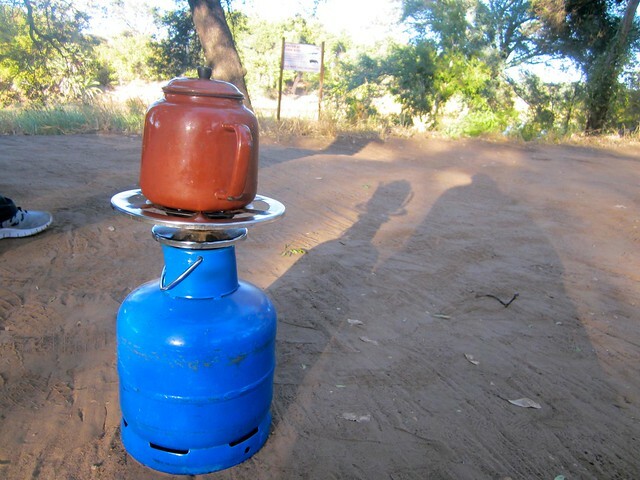 We woke up every morning and skipped breakfast, but made sure to boil water for the thermos on our morning game drive. An unfortunate aspect of our trip (coffee-wise) was the amount of Nescafé we drank. Through most of our trip, instant coffee was the only thing available. And since we are more than a little dependent on our daily cup of joe, we drank A LOT of instant coffee. 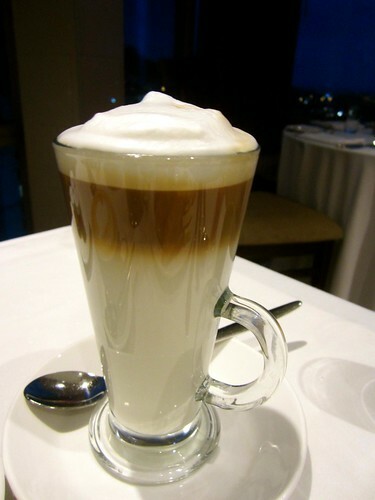 A latte at the Executive Club in the Westin Cape Town. Although there is no cultural significance to the coffee at the Westin, they always made it look pretty. A fancy cappuccino at doubleshot coffee in Plettenberg Bay, South Africa. A hip coffee shop owned the sisters responsible for Lairds Lodge (one of our favorites in South Africa). They definitely got an A+ in the skill of cappuccino art. 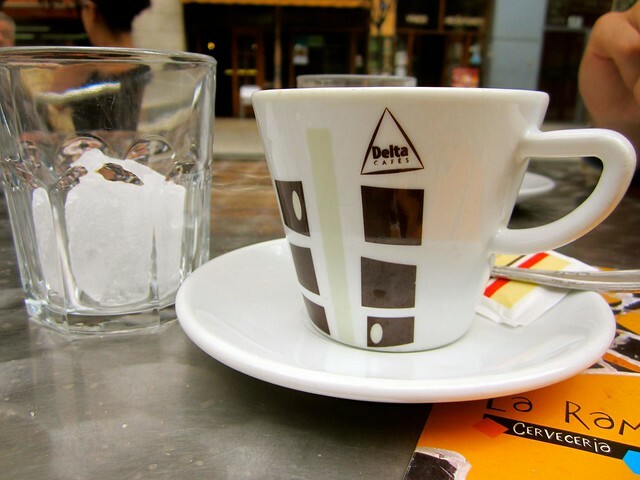 A café cortado at a café in Barcelona. (Espresso con un poquito de leche) Espresso with small amount of milk. This was possibly my favorite beverage of the entire trip. Y más cortados en Madrid! I just couldn’t get enough. Guys, don’t laugh! At the Sao Paolo airport, we got americanos from the McCafé (yes I just put an accent on something involving McDonalds) and they give you this great little piece of chocolate! Honestly, I’m losing all my coffee cred here, but this was the high point of our 13 hour Sao Paolo airport stay. Me wondering where the rest of my Brazilian espresso is at a sidewalk café in Rio de Janeiro. 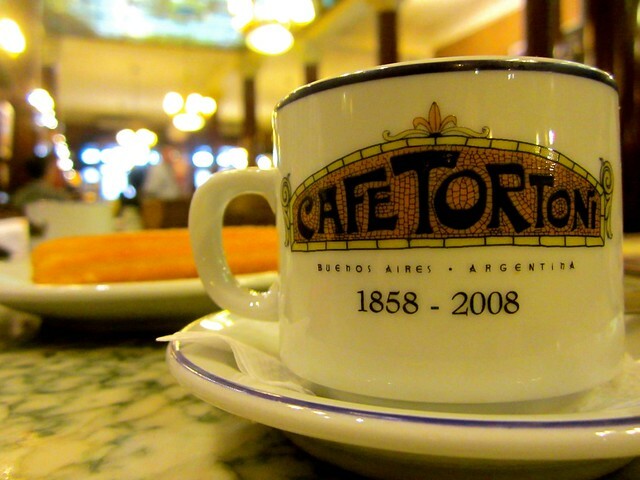 A trip to Buenos Aires isn’t complete with a stop at the touristy, but fun Café Tortoni for an espresso. It’s a beautiful café, where the rich history surrounds your experience….and of course the coffee is great too! Now that I am back traveling in the U.S for awhile, it’s back to my trusty Aeropress! 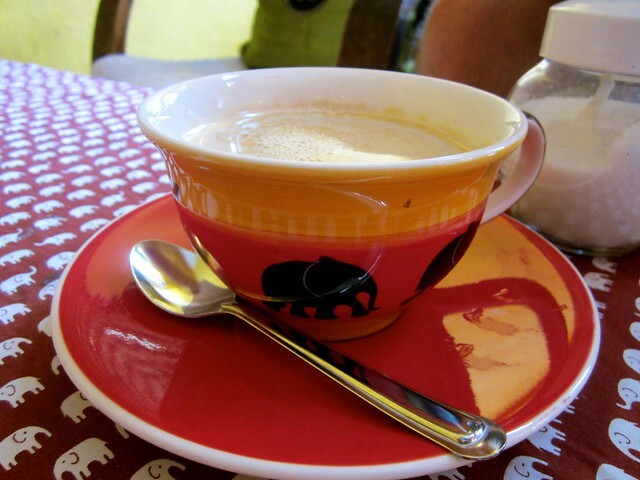 Where have you had delicious coffee in your travels? I don’t like coffee, so maybe I’m the wrong person to ask, but while on the Big Island in Hawaii, I had to try the Kona coffee while staying in Kailua-Kona. I loved it & couldn’t get enough! Maybe the local, fresh aspect of it made the Kona coffee more tolerable than anything else I’ve had. I love Kona coffee, good choice. The coffee on Kauai is also very good. Hey there! After having graduated college and working in the “real world” for the past few years, my husband and I are planning on our own escape from the drudgery that is a normal 9 to 5. I just started following your adventures sometime last week, and I love your blog. So much useful information! In regards to coffee, I prefer mine completely untainted by cream and/or sugar. That being said, the coffee that you can buy from the many vendors that travel the streets of Colombia is a-ma-zing. It’s sweetened with panela, which is akin to brown sugar and oh-so-delicious. I highly recommend it and look forward to sampling some of the coffees that you described above once I begin my travels. I agree with you on black coffee. Most people put cream and sugar in their coffee because they’ve never had good coffee! The awful stuff that’s made in your office needs it. It was very hard to convince many vendors that we really didn’t want milk or sugar in our coffee, so we usually gave in just to make it easier! Hi Guys! 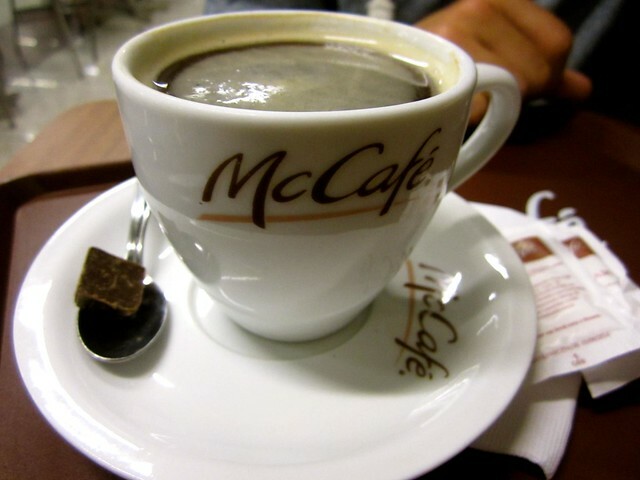 I love to try out coffee as I travel too. I will never forget walking through the streets of Old San Juan in Puerto Rico with my very first Cortadito! After that, I loved it so much I had to figure out how to make it and taught it to the barristas at the coffee shops in Peoria. Two of my old coffee houses now have the Cortadito on their menus. One place even calls it “The Justin.” After campaigning with my coworkers, I converted at least 15 people to Cortadito fanatics. 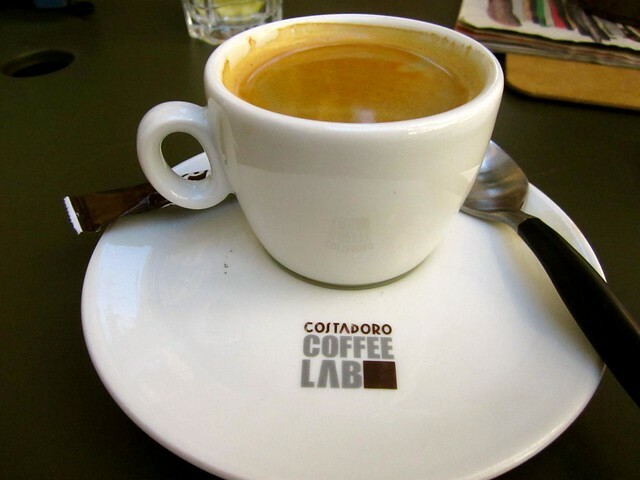 Since I have not yet had a Cortado in Spain, I can’t say, ask me again next May ;). The version I am familiar with is the Cuban version. Double Espresso in a short cup (the smallest 6 or 8 ounce cup they have). Put two packages of raw brown sugar in the bottom of the cup so the hot espresso melts it when it comes out. Stir vigorously (very important or the sugar sticks on the bottom), then add 3-4 ounces of steamed whole milk. Does that sound close to what you tried in Spain? I think the only differences are the cortado sounds smaller, has no sugar, and a higher milk ratio. 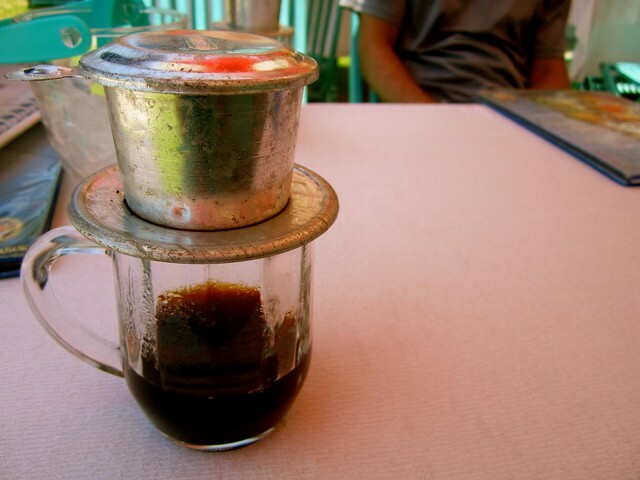 I’m reading this post sipping on an iced coffee at the excellent Trung Nguyen cafe in Saigon. This is the first place I’ve found in Vietnam that doesn’t add sugar to your black coffee by default. Like you guys, I’m addicted to coffee. I have to have it, and am willing to drink just about anything resembling it. 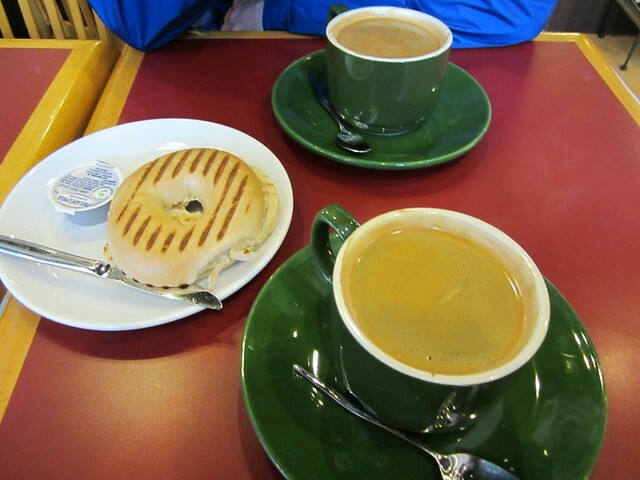 My coffee of choice (anywhere in the world) is Starbucks, but I did have some pretty good cups o’ joe in Costa Rica. If I get to go to Singapore again, I’m going to try the sock coffee. Then, if I don’t like it, I’ll head to Starbucks. Definitely try the Kopi! There’s plenty of places that have it you can exhaust before falling back on Starbucks. We bought Starbucks one time in Hong Kong in the entire year and it cost us $5 for a tall coffee!